Powers/Abilities: Very agile, skilled in the use of weapons. History: Martin Valiente is a (non-superpowered) adventurer who comes from Venezuela. 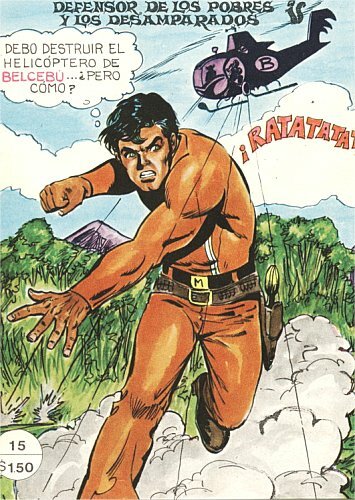 Comments: Valiente first appeared on the radio in 1977, before transferring to comics. Thanks to Jesus Gullermo Ramos Gamero for additional information about this character.